Walk with Penn’s Village through another of Philadelphia’s distinctive and colorful destinations for foodies. The Philadelphia Wholesale Produce Market traces its roots directly back to Dock Street, the earliest produce marketplace in Philadelphia. From Colonial times, local farmers sold or consigned their goods to Dock Street merchants. This was a vibrant, bustling business venue for literally hundreds of years. 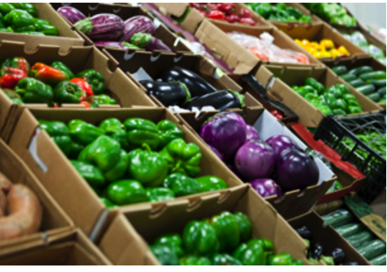 Today, the Philadelphia Wholesale Produce Market has moved from horse-drawn wagons to the highest global standards for distributing premium quality fresh produce. The merchants remain family-operated produce wholesalers that have been in business for generations and customers benefit from decades-old relationships with the world’s best growers. The Market is located at 6700 Essington Avenue. The tour involves a ½ mile walk and the temperature is chilly (about 50-55 degrees). Detailed driving directions and parking options are available at http://www.pwpm.net/visitor-info/directions/. Park in the lot to the right of the guard. We will meet our tour guide at the guard station. Please register by calling 215 925 7333 or emailing info@pennsvillage.org. This program is free for Penn’s Village members and volunteers. We would appreciate a $5 donation from other guests.